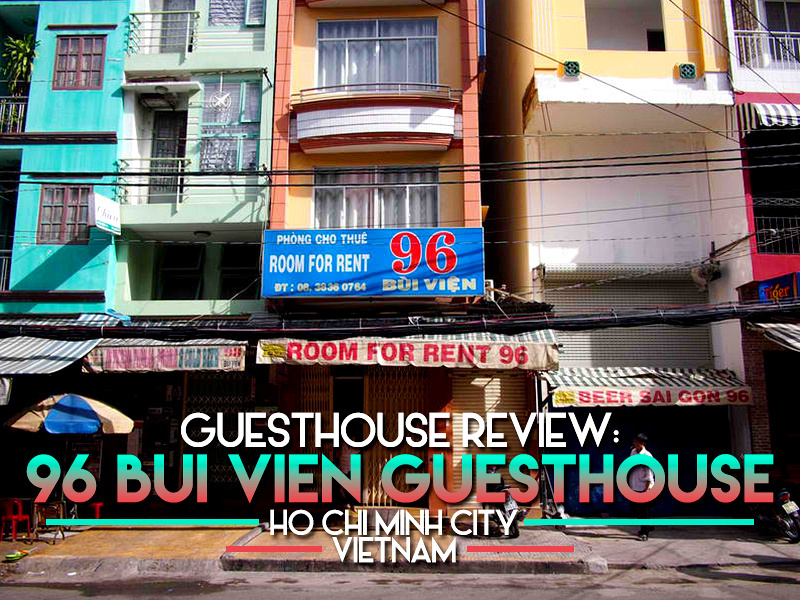 I stayed at the 96 Bui Vien Guesthouse in Ho Chi Minh City, Vietnam. I booked online at the rate of $13 USD per night. I stayed here for a night while looking for a monthly apartment rental, which what I usually do when I get back to Saigon. Last time I stayed around the corner at a similar cheapo backpacker guesthouse, though this one was much better. I got a double room with a fan and private bathroom. My room was spacious enough (compare to the last place where I had to step over my bag) with a table and cupboard. 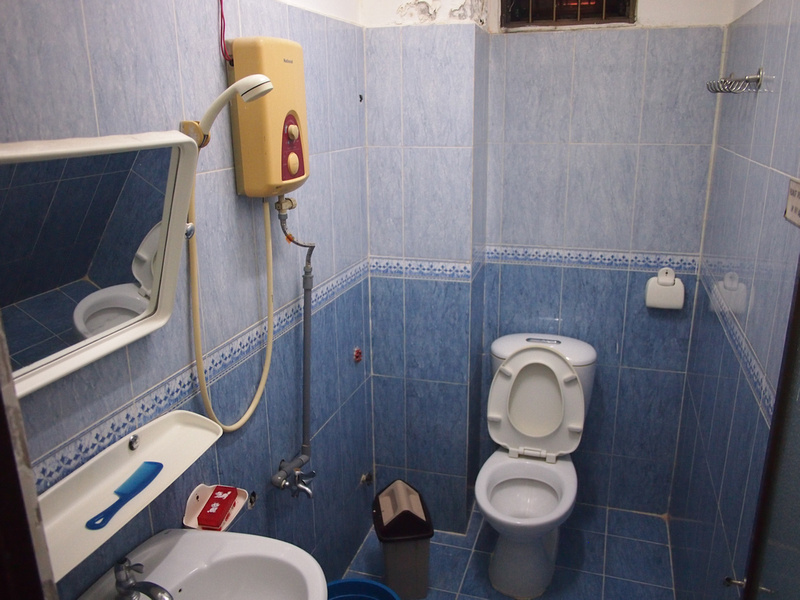 The bathroom had an instant hot water service which is typical in Vietnam, and the tiling made the room feel clean. 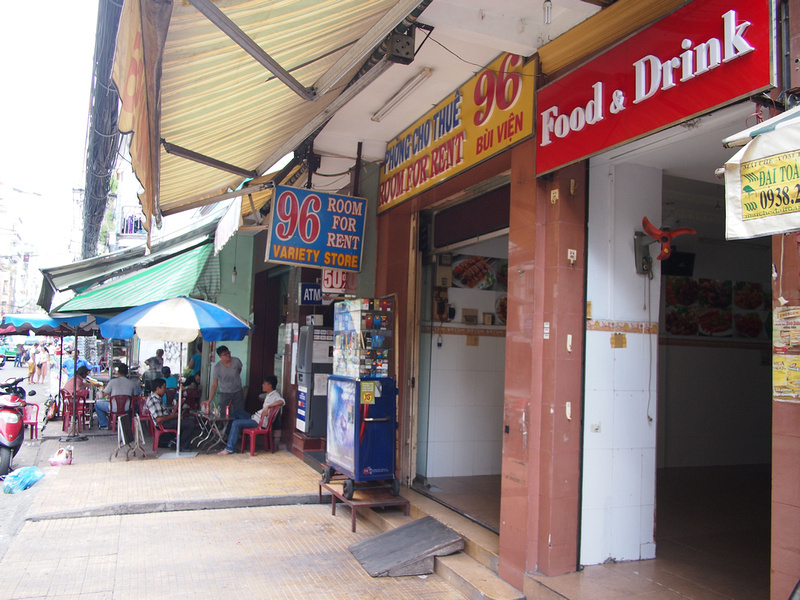 The guesthouse is located on Bui Vien, which is the backpacker party street of Saigon. By day the reception is empty, but by night the reception area converts into a beer barn. The whole of Bui Vien is lined with plastic seats at night and cheap beer is sold on the street. If you have a room at the front of the building you will get street noise. The wifi was good in my room, though I had to move rooms when I first got there as one of the wifi signal boxes wasn’t working that day. There is no inhouse restaurant here so you have to fend for yourself at breakfast. Overall this was a simple and decent place to crash. There are lots of places like this in the Pham Ngu Lau area so you really don’t need to book. 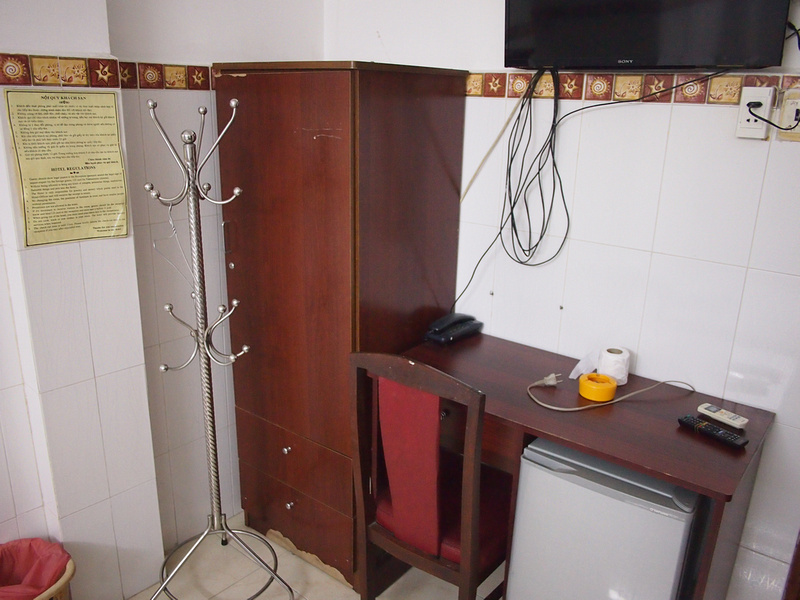 If you are looking for the cheapest option and want some thing confirmed, you can book the 96 Bui Vien Guesthouse online, or search for more hotels in Saigon here. 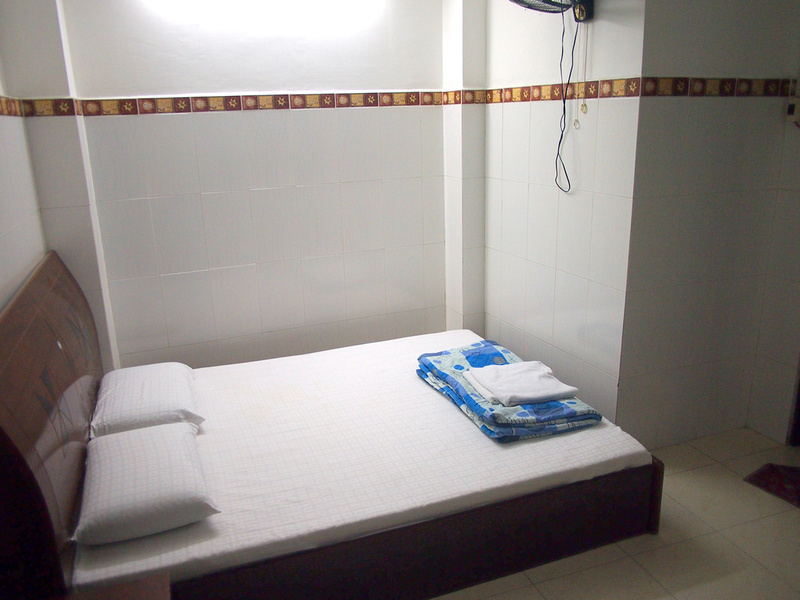 If you prefer not to stay in the backpacker area then here is my guide for where to stay in Saigon.